Janet Lansbury discusses when to say “yes” to something as a parent versus when to set a boundary in an intriguing article. She says to say “yes” to your child’s feelings and to your child’s self-directed play. These are two things that I emphasize in the play therapy I do with young clients. Janet states that children need freedom to express their deepest, darkest, oddest, or inappropriate-seeming feelings because emotions are connected to “self” and who we are. By accepting a child’s emotions, we are accepting who they are. Janet states, “Encouraging the expression of feelings and acknowledging them is the key to our child’s emotional health and also to self-worth”. 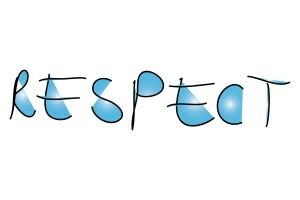 This means not stopping the emotions with distractions, punishments, or other invalidating responses. The other thing to say “yes” to is self-directed play as children learn a great deal through their play. Boundaries should be set for safety, when the child is testing, and during transitions. Janet also addresses the “annoyance factor” which can be summed up by a quote from the article “when we placate children by allowing them to do what we don’t really want them to do, we end up being the ones who want to explode, and that can be dangerous.” In other words, if we will be irritated by a behavior, it might be better to set a limit rather than endure the behavior and become resentful of the child. An article from Time magazine by Bonnie Rochman discusses a study from the journal “Emotion”. 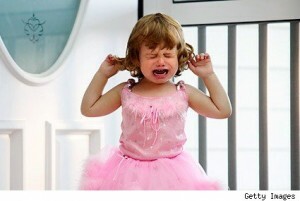 The study found that the vocalizations involved in a tantrum actually follow a rhythm. Tantrums have recognizable peaks and valleys that can be analyzed in hopes of cultivating a better response from parents and teachers. “Screaming and yelling and kicking often go together,” said study co-author Michael Potegal of the University of Minnesota. “Throwing things and pulling and pushing things tend to go together. Combinations of crying, whining, falling to the floor and seeking comfort — these also hang together.” An older theory of tantrums suggest that meltdowns begin in anger and end in sadness, but Potegal found that the two emotions were more intertwined. “The impression that tantrums have two stages is incorrect,” Potegal said. “In fact, the anger and the sadness are more or less simultaneous.” Based on the sound recordings of kids’ breakdowns, the researchers found that sadness happens throughout a tantrum, and is punctuated by intense bouts of anger. Potegal advises moms and dads to ignore their tantruming child, and soon enough, the fury will subside, leaving a whole bunch of sadness. That’s when parents can intervene. I recently read a great article from Janet Lansbury called “Don’t Waste an Opportunity to Connect With Your Kids”. The article discusses seven ways we can connect with children including: hearing and acknowledging the child’s emotions; providing the child with simple, truthful, empathetic limits; meet the child where he/she is at in terms of play; slow down and connect during care-giving duties such as bath time and bedtime; and express love, appreciation, and apologies to the child even if they do not seem to be listening. These things resonated with me as a child and adolescent psychologist because this is the kind of relationship I strive to foster between the parents and children I work with. A relationship that consists of mutual respect and one in which the child feels safe and understood. Relationships of mutual respect with children who have temper tantrums and do not listen by the first or even tenth time we tell them something can be very challenging, but are possible and rewarding once achieved. It’s the small changes in our daily communication with children that have the biggest impact.